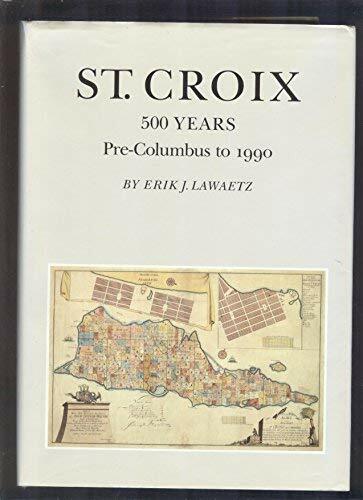 The Caribs continued their existence on St. Croix for about a decade following Columbus' visit. During this period they had established an understanding of mutual coexistence with the Spanish on Puerto Rico. This understanding was concluded when a Spanish adventurer raided St. Croix for Carib slaves. The Caribs joined in an effort with the Tainos of Puerto Rico, against the Spanish. For their uprising they were condemned to be destroyed by the Spanish Crown. With 'legalized' extermination and military action imminent the Caribs permanently abandoned St. Croix. The establishment of the Lawaetz clan in the Danish West Indies is a romantic tale, a mixture of dreams, optimism and vision. That St. Croix was even considered by a 26 year old cattle farmer from Denmark is surprising. The Crucian cane sugar industry was dying due to lack of laborers, high costs, horrible weather and not least, depletion of the land. At the time he immigrated, Carl Lawaetz was a highly disciplined, religious young man with almost 11 years of apprenticeship in farm management; Denmark was thriving and was the leading exporter of farm products in the world. The problem with Denmark was a lack of land and opportunity, for the population had grown as quickly as its expertise following the Napoleonic Wars. Carl left to secure a future for himself, as so many other young Danes did at that time, but instead of America, he took his cousin's advice and gambled on coming to St. Croix.